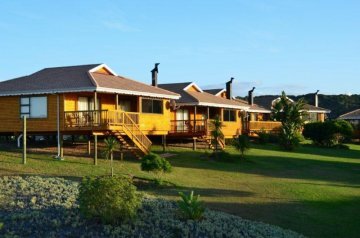 Dibiki Holiday Resort is an 3-year-in-a-row AA award winning Holiday Resort located near Hartenbos River. Recently received the 2013 Lilizela award for 4star Caravan & Camping. Walking distance to Hartenbos, the lagoon and beach. Only 9 km to Mossel Bay and 36 km to George Airport. The resort has 30 grass covered caravan sites with electricity and water points and is served by an modern ablution block, scullery and laundry. Two of these sites have been upgraded with private ablution facilities. 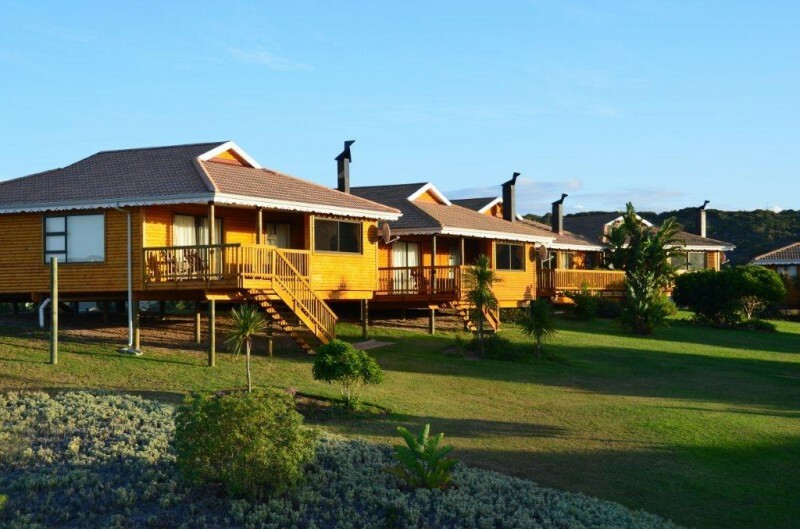 Accommodation, which comes Highly Recommended by the AA Quality Assured Programme, consists of fully equipped self catering wooden chalets & luxury safari tents. One of the two bedroom chalets is wheelchair friendly. Recreational area offers a children`s play area and trampoline, sparkling swimming pool and bar facility with big screen televisions, pool and darts. Office and info centre is open daily from 08:00 till 17:00. With its ideal location, exactly half way between Port Elizabeth and Cape Town, Dibiki Holiday Resort serves as an excellent base from which to explore the Garden Route. Fully equipped (bedding, towels, fridge, microwave, coffee and tea facilities, Weber braai, 2 three-quarter beds with 2 camp beds). You will get the camping experience in total luxury. One bedroom chalet (Sleeps 4pax). Fully equipped (bedding, towels, fridge, washing machine, microwave, a queen size bed in the main room and a double fold out sleeper couch with bedding. Bathroom with bath and shower out side braai with a wooden deck. Fully equipped (bedding, towels, fridge, washing machine, tumble dryer, microwave, a queen size bed in the main;room, Two three-quarter beds in the second room and a double fold-out sleeper couch with bedding. Bathroom with bath and shower one of two-bedroom chalets are equipped for wheelchair access and only has a shower. Semi enclosed out side braai with a wooden deck.